This is a rarity. Honest. 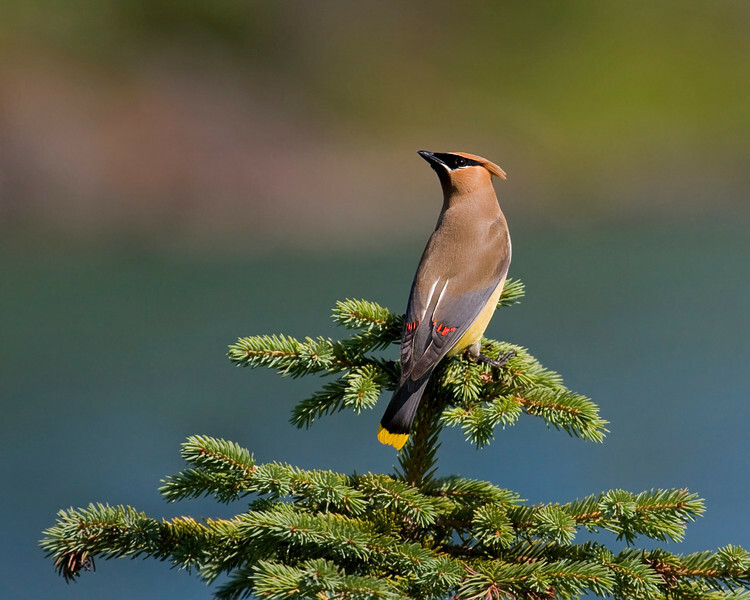 To get a Cedar Waxwing from the back, looking over his shoulders, and showing ALL his colors down to the yellow tail and red secondaries. And to get him atop an evergreen. And a great background. The waxwing was the third bird I ever got and, with or without branches, I've never gotten another one. How did I miss this in previous visits?